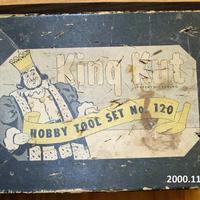 Box with hobby knife and assorted blades. There are approx. 30 blades.